When you enter the world of jewelry making with beads, you must quickly become adept at metric measurements because bead sizing uses the metric system. 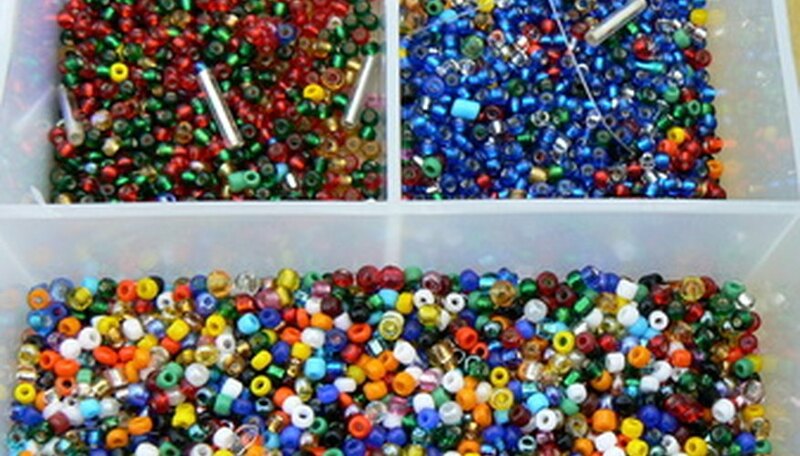 As you shop for beads, pay attention to the bead sizes to learn the basics of measuring beads. A six millimeter bead is approximately 1/4-inch long, giving you about 65 six millimeter beads on a 16-inch necklace strand. Vary the bead sizes on your jewelry pieces for an attractive beading display. Compare bead length to inches to understand bead sizing. The smallest 2mm beads are slightly over 1/16-inch long. Much larger 25mm beads are nearly 1 inch in length. In the middle of these two sizes, 12mm beads are approximately 1/2-inch long. Fill a 16-inch strand with beads of varying sizes to see the difference in size. It will take one hundred 4mm beads to fill a 16-inch strand. It will take fifty 8mm beads to fill a 16-inch strand. It will take thirty-two 12mm beads to fill the same strand. Make an 8-inch bracelet with one hundred 2mm beads, thirty-three 6mm beads or seventeen 12mm beads. Compare seed bead sizes to inches to help size them. It takes 20 size 11/0 seed beads--the most popular seed bead size--to equal 1 inch. Seed bead numbers get larger as the beads get smaller. It takes 10 size 6/0 seed beads and 25 size 15/0 seed beads to equal 1 inch. Add bugle beads to jewelry according to size. Size 1 bugle beads are the smallest and are 2mm in length. Size 3 bugle beads are approximately 1/4-inch and size 5 bugle beads are 7/16-inch long.